What would you like to see in the new series? Re: What would you like to see in the new series? I can see Feral liking the SWAT Kats as the show made it clear he (sort of) came to grudgingly admire them, so that's within the realm of possibility, but why would Callie suddenly hate them...? As far as corruption goes, we've had Steel, and there some insinuations (but nothing concrete) about Meece in Chaos in Crystal, and Conklin in Caverns of Horror was definitely crooked. And as for organized crime, we did see catnip smugglers in The Metallikats and then there's the Metallikats themselves, who are in fact mobsters. So I think what you mean is you'd like to see more (or at least more overt) corruption and organized crime. SwatKatsFan1 wrote: -Introduce the characters' personal lives like how Chance and Jake became hommies and maybe introduce the characters' family. That's a big ten-four right there. SwatKatsFan1 wrote: -New characters that are either civilians, enforcers, or politicians. The show technically already did that. Each episode introduced new supporting characters (almost always one-shots, though). I take it, though, you mean new characters who'd become recurring ones like Professor Hackle and Dr. Sinian? SwatKatsFan1 wrote: -A main villain for each season. You know, like how Arrow has Damian Dark and Flash has Zoom. I agree to some extent. 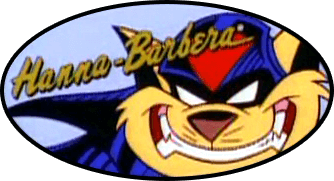 Although the original SWAT Kats wasn't really designed for season-long arcs, I kind of think a new show would benefit from it. Don't they both know martial arts...? I mean, obviously, Razor is a little better at it, but T-Bone's no slouch, even though he seems more like a brawler most of the time. 1. Callie is the deputy mayor of MegaKat City and every time the SWAT Kats are in action, they cause property damage meaning that she'll have to do a lot of paper work and Manx would raise taxes meaning that a huge cut would be taken out of her salary. I know Callie's not greedy unlike Manx, however Callie would also consider the SWAT Kats to be reckless like when T-Bone was willing to fight off that exhibit the Past Master brought to live in "The Past Master Rings Twice". 3. Backatcha bro. I'd like it to be based on other people's lives and include relationships like in the Regular Show. You should watch the Regular Show, it's hot. 4. Yeah, I mean new characters who'd becoming recurring ones like Professor Hackle and Dr. Sinian. I made a loudmouth, fast talking, and arrogant enforcer named Jerome Weston and a mechanic engineer for Puma Dyne named Rupert Ramirez who knows who the SWAT Kats are and works with them. 6. I know Razor does martial arts and T-Bone does dog fights, but I like to see more of it. I didn't expect the SWAT Kats to be martial artists until I saw the episode where they were fighting off Queen Callista and her guards. I actually doubt the SWAT Kats are vigilantes since Queen Callista dubbed them as Sir T-Bone and Sir Razor. The biggest one for me is I hope they bring back Mook Animation. Their animation for some episodes in the first season and the entire second season made the show for me. I thought they brought out the best in the show. Less monster of the week episodes definitely. The best episodes were when the Swat Kats were forced out of the jet. And just rely on their own skills. Give the female characters more to do. Episodes centered on Callie and Felina would be very enjoyable for me. Bring back Madkat. I just love the whole creepy Freddy Krueger aspect of his character. And finally can we dive further into Chance and Jakes lives. Who are there families etc. Now that's a tough question to answer for many great reasons. First thing I want to see is an awesome intro. Obviously most of their regular enemies needs to return for this to work. We do need more Felina Feral in the actual show. More original possibly crazy gadgets & projectiles the SWAT Kats gets to use. More light on both members of the SWAT Kats' past would be nice. I really would like to see an Dark Kat origin episode. There is so much mystery about their greatest enemy that they must do it. More vehicle variety this time around would spice things up. I want some crazy exciting stories in these episodes to blow my mind. This show should have just as much potential as the original show. There is so many ways to go with these characters to keep coming with amazing stuff. Perhaps it could be revealed that Commander Feral was a wrestler at one point in his past. Imagine a scene in which Feral, and possibly some of his troops, are cornered by bad guys. The situation looks hopeless. But Feral decides he's just not going to succumb quietly. His old training just may save the day. In a daring and scene-stealing move, he lets out a mighty roar, tears his shirt off (revealing himself to be totally ripped) and proceeds to body slam and pulverize all of his enemies using a variety of wrestling tactics. Imagine the Swat Kats witnessing this spectacle, completely stunned and unaware that Feral could do this. Meanwhile Feral himself walks away satisfied with his handiwork, happy that he still has it in him. That makes me think of the live action Speed Racer movie, specifically the Ninja (Nonja. Terrible what passed for ninjas in that movie.) that tried to punch Pops. Pops catches the fist, spins the Ninja in for a one armed chokehold (And Pops is a good couple of feet taller and at least as much wider than the Ninja, so the poor guy already knows pain is coming). The Ninja looks at Pops' hand and sees a wrestling federation championship ring, and just says "uh-oh" in a clear "mistakes have been made" and "this won't end well" tone. I'd love to see some random goon try something like that, maybe an assassin in Feral's apartment. He fails, lands hard from being Punched Across the Room, and Feral's championship belt lands on the assassin's lap. Cue epic "Oh crap/FML" face, maybe a quiet whimper, followed by Feral cracking his knuckles and/or neck, with a grin that says "Hello, stress toy". Feral definitely needs some moments where he gets to shine and be the hero of the day. Maybe the SKs stop the big bad plot, but Feral caught the escaping villain on his own. Maybe he stops a big problem without their help at all due to being in the right place with the right gear. At the very least, let him save the heroes once or twice. You don't get to be a Commander without being good at your job. Same for the Enforcers. Just once, let them be in a place where choppers and tanks are the right tools for the job. Some sergeant spots a threat early, calls it in, and they arrive in time and thwart Viper. Even if he escapes, they kept him from getting what he was after, forcing him to try something else (Maybe something bigger, and it turns out his backup plan was worse than the original, justifying the SWAT Kats showing up.) The Enforcers didn't screw up, and may have saved lives, Viper just had another plan that didn't need what he was trying to steal. Neither party is less awesome for their respective wins. Probably Upgrades on the Past and Also New Gadgets and Methods of Dispatch and Such.